From Kdrama and variety TV to editorial photospreads and clothing campaigns, here are some stylish trends to try out this Winter. Dressed up or down, faux fur is not only fashion forward, it’s also socially conscious. Moreover, it is a completely pragmatic choice and will keep you from catching your death on the coldest Winter days! 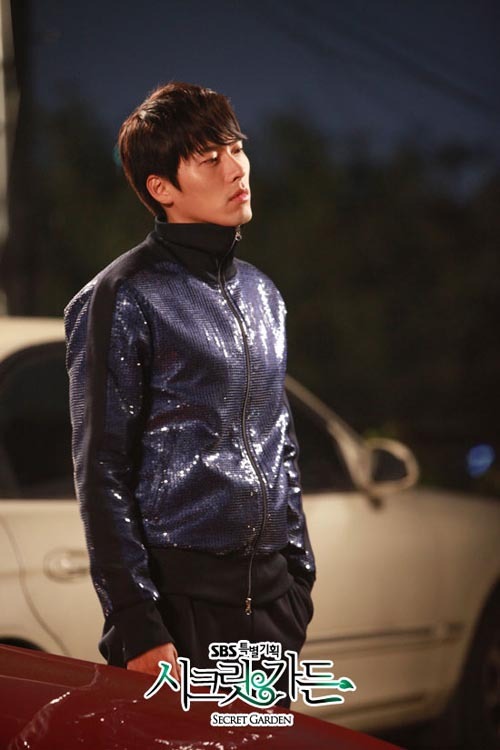 Although his track suits may be hilariously heinous on “Secret Garden”, the sequins and leopard print worn by Hyun Bin are two styles that continue to be head-turners. Sequins and leopard print can spruce up any outfit and are perfect for the holiday season-try wearing them for any upcoming office happy hours, department parties, formals, or just a night out- to give an otherwise plain outfit some pizazz. Sequins aren’t worn only by Hyun Bin- Jung So Min was recently styled in sequins for the December issue of Elle Girl. The outfit was so cute I had to recreate the look! Lastly, for those of you familiar with the variety program “Running Man“, you will know that the punishment for the losing team is to don stylized short shorts (the most bizarre, yet utterly fantastic punishment ever, imo!) that have ranged from rainbow prints, to feathers, to even fur-who knew those short shorts would be right on target to Winter fashion?! One Winter trend that caught my eye was the pair of pom pom shorts from the episode at the arts school– so grab some pom pom clothing or accessories and get ready for the Christmas cheer! RAH RAH fashion! RAH RAH chic! Goooooooo Winter! Hope you enjoyed these looks inspired by some of our favorite Korean artists and entertainers! What trends are you looking forward to flaunting?